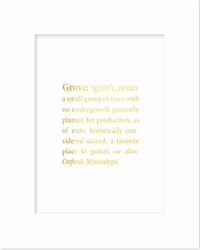 Description: This special edition 8 x 10 inch gold foil print is the very definition of a town recognized for rich literary history and traditions. 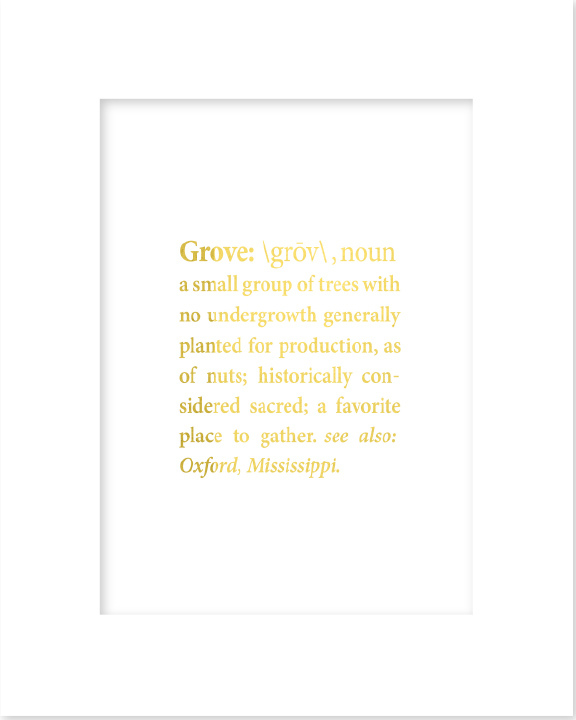 Featuring a dictionary entry for the word "Grove," this print comes with premium white mat and is ready for a frame of your choosing--perfect for a college town condo or office. Frame not included.